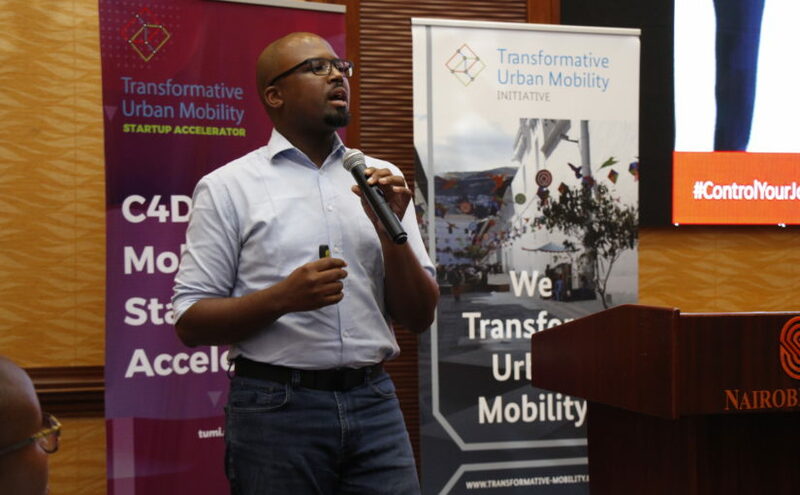 8 startups admitted into the TUMI Startup Accelerator housed by C4D Lab at the University of Nairobi‘s School of Computing and Informatics today pitched to potential investors, partners and customers at Nairobi Serena hotel in a mid-term pitch fest organised by the Nairobi based mobility Accelerator and the Transformative Urban Mobility Initiative(TUMI). The over 50 people delegation comprised of industry players, investors, the academia, government and mobility startups from advanced ecosystems all united to match ideas & capital to enable better access for millions of individuals on the African continent. Speaking during the event, Daniel Moser stated that the goal of putting the accelerator was to have startups accelerated to achieve sustainable urban mobility. He reiterated that the current cohort should pave way for Kenya when it comes to transformative urban mobility. Mobility should be the center point for urban cities because mobility is the focal point of any city. This way, cities can continue to thrive and improve the life of their residents. Above all women, children and people with reduced mobility are suffering daily under the urban mobility crisis in their cities; at the same time missing transport infrastructure and lacking public transport leads to cities falling back and not becoming machines of growth and forces of sustainable development. Emerging digital mobility companies can be important enablers for better transport. The TUMI StartUp Accelerator seeks to establish smart digital mobility as a fundamental element of sustainable development worldwide and the this first cohort is here to start the journey.